Shape of the World Review | Nerd Much? A review copy was provided for our Shape of the World review. 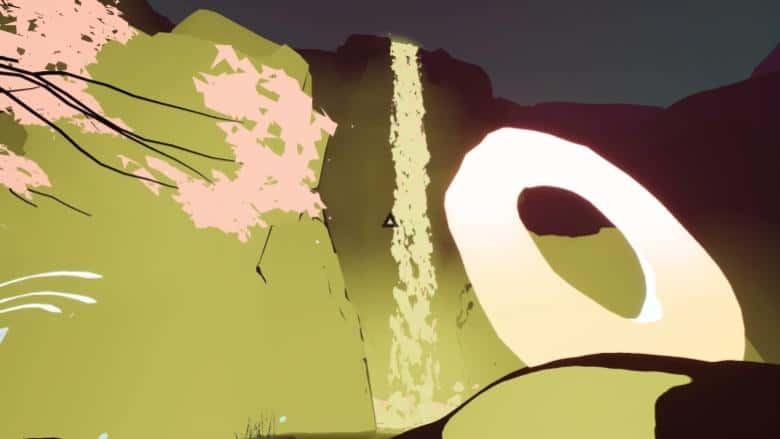 Shape of the World is a game developed by Hollow Tree Games that explores the surreal and sublime within the simplicity of nature. You do not play a character of any kind, no avatar represents you. You are just you, wandering around in the world Hollow Trees has created. That world is simple, yet wondrous and different. The art style of Shape of the World is mostly single-cel shading, but that doesn’t mean the graphics don’t get complex. There is always something new to look at as you wander through Shape of the World. A waterfall, for example, is in stunning psychedelic color and glitters white as it tumbles down bright yellow and pink rocks. The plants and trees come in a wide variety, from the huge pines of Northern climates to the dense underbrush of mangroves. The fauna, however, is less Earth-like. Throughout the game, you will find squids, octopi, worms, and even whales. All are very cute and are happy to lead the player astray, especially the larger octopus-like creatures that push the player away. The gameplay of Shape of the World is entirely focused on exploration. There are large triangles in the distance, but there is absolutely nothing pushing you towards them. As you move through the world, it forms around you. Trees and plants spring into existence, cute creatures wander into view, and the more you wander, the more detail will be added to the world around you. If you explore enough, you will find rows of seeds to collect. You collect about 6 of them on each level, you are able to hold one kind of seed at a time, and planting them is as easy as the press of a button. You can plant the trees wherever you like and they will grow much the same way the pre-set ones do. Eventually, you will come across a set of white structures: quartz-like crystals, druidic stones, and large mounds. Once you trigger all of them within the area, a set of stairs will appear. Going on them is smooth and fun, a lot like the red bridges in Journey. The stairs lead you to another set of stones or a triangle. Once you pass through the triangle, the landscape will change color and morph into something new. Sometimes mountains will turn into oceans or cliffs into waterfalls. This process repeats with increasingly dramatic landscapes and more difficult to reach structures until the game ends. The game is about 1-3 hours long, depending on how much the player explores. As you do, Shape of the World has fairly ambient music, though it is extremely pleasant and suits the exploration theme of the game. Shape of the World is inspired by moments like the end of Journey, or the entirety of Flower. All of that said, that’s it. There is no story to Shape of the World, there is no ancient civilization that created the stone structures, and there is no narrative. So what’s the point? Shape of the World is inspired by moments like the end of Journey, or the entirety of Flower. 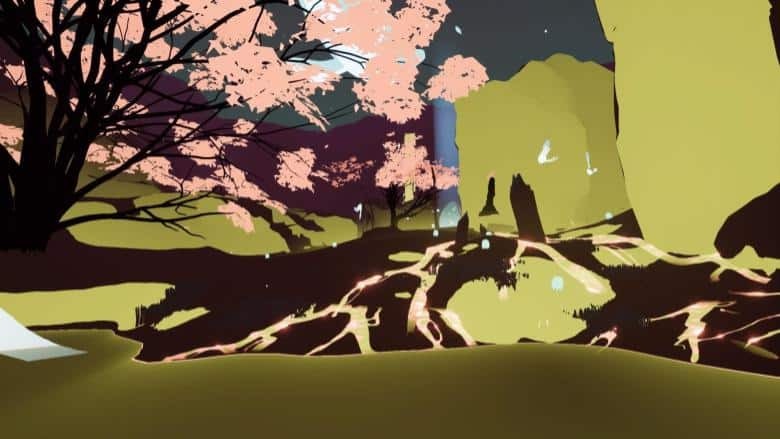 This game is meant to be relaxing and help de-stress the player with beautiful vistas and no-pressure gameplay. The idea, to be very technical about it, is to invoke the sublime experience. This is a term from the Romantic period to describe the utter awe and wonderment you are supposed to feel when struck by the sheer magnificence of nature. While that is all well and fine, it might be a crippling disappointment for those gamers that were expecting more. So if Shape of the World doesn’t relax you or lift you into sublimity, then perhaps direct this game towards a very young gamer. The changing colors, moving parts, and lack of direction make it perfect for children between the ages of 3-6 years old. At this age, they can learn their way around the controller (associating button presses with events on the screen) and be thoroughly entertained by the moving nature of the game. That said, I must admit that I was expecting more. I wanted a narrative and a stronger metaphor than the sublime. This game was clearly intended to be simple, so the developers did accomplish what they set out to do – but it just wasn’t for me. 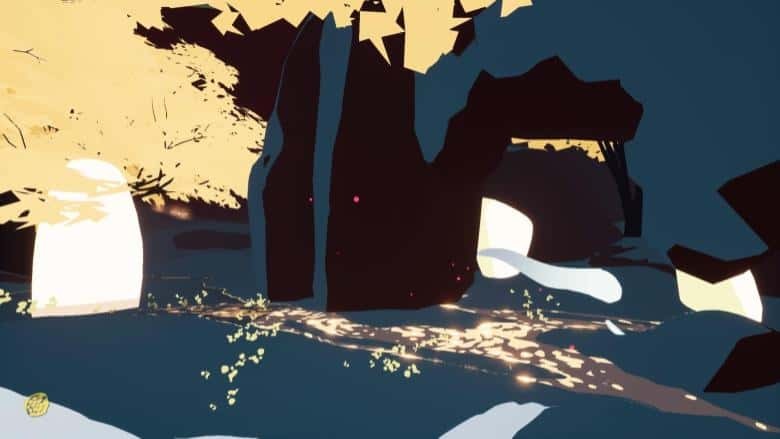 I did not find the aimless wandering relaxing, the music was not nearly as stupendous as Abzû or Journey, and the graphics were a little too simple for me. As such, I am rating Shape of the World 3/10. 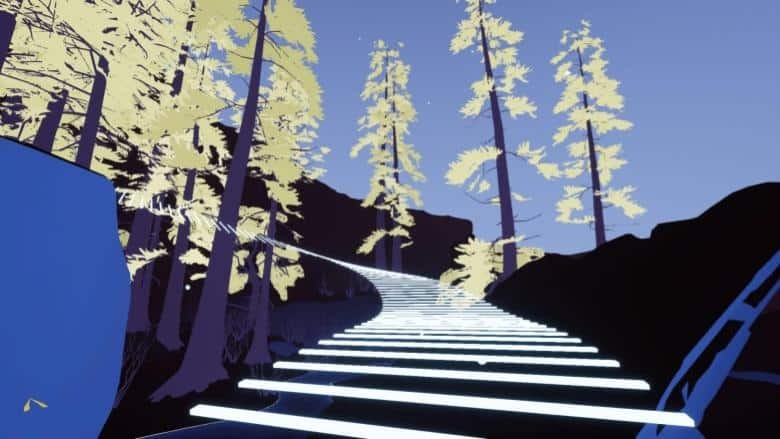 If you need a game to de-stress and get your mind off work for awhile, there are other options that will keep you occupied with more than just iridescent landscapes. Shape of the World is like yoga, but for gamers.